Catalyst Ghost Stories | Accidents WILL happen. Everywhere is haunted. Nowhere is safe. A young family learns their home is haunted after reminding an angry entity of its fatal beating by simply dropping a spoon. 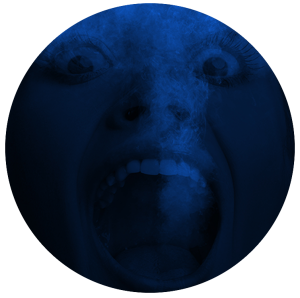 Further minor accidents trigger increasingly violent hauntings, until the family is afraid to move in their own home. BECKY and ROB are a young couple who lose their five year old daughter, SUSIE to a freak school trip accident. They are devastated for a long time, but when they are finally able to consider having another child, they must also decide whether it is worth the painful tests and procedures because without medical help, they are infertile. In spite of the hardship, they try to conceive again. Through the tears and agony, they succeed, but when their second daughter, HALEY, also reaches the age of five, Becky’s over-protectiveness seriously harms her effectiveness as a parent. Becky first insists that Susie is watching over them. Tensions heighten when she instead concludes that there is a hostile spirit in the house, one that with each mishap, gathers the knowledge and energy to become a true poltergeist, and eventually worse, as it tries to stop the offending sounds of accidents and the people who caused them. “Heart” has been sorely missing in horror films (unless it is one ripped out beating and bloody). I believe for a thriller to work, we need to care about the characters; their realistic and affecting stories should just happen to be interrupted by the paranormal. My reason for writing and directing The Catalyst was to breathe new life into the classic ghost story. 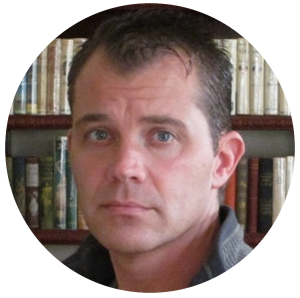 Alan Howard Fine is a travel and screen writer, director, producer, editor and composer. Fine has worked for DreamWorks and Paramount Pictures, and has sold screen and teleplays to TriStar Pictures, Universal Studios, USA Networks and Pachyderm Entertainment. Fine wrote and directed the short film, “The Catalyst,” which was released in October 2016 as a proof-of-concept for a feature film. The short won ten awards before being pulled off the festival circuit to be developed with co-production company, Moving Pictures Media Group. Fine co‐created, produced, directed and edited six educational films in the successful “Classroom Encounters” series, which is sold to libraries and schools domestically and internationally. Fine directed infomercials for Roth Advertising as well as directing readings of his play “Fountain of Youth” at both the prestigious Neighborhood Playhouse and at the Actors Theatre Workshops in Manhattan. Fine served as technical consultant for Pop.com, Steven Spielberg and Ron Howard’s Internet company in Los Angeles. He created a demo for the world’s first interactive situation comedy for the Internet with Visionati and Syzol New Media. Fine appeared as an actor on “Cheers” and other shows, and has been a stand-up comedian who has appeared on Comedy Central and was a winning contestant on “The Dating Game.” Fine is a member of the Dramatists Guild, Writers Guild of America and the Screen Actors Guild. Ray Ellingsen began his film career in 1987 as a writer. 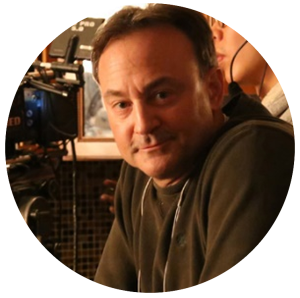 He has since gone on to pursue numerous aspects of filmmaking, from directing and producing, to supervising post production of feature films, documentaries, and commercials. 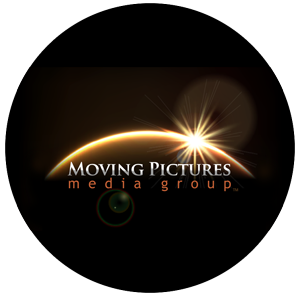 In 1999, Ellingsen helped form the motion picture entertainment company, Ugly Old Bird Productions, which produced a number of film and video projects during its five years of doing business.